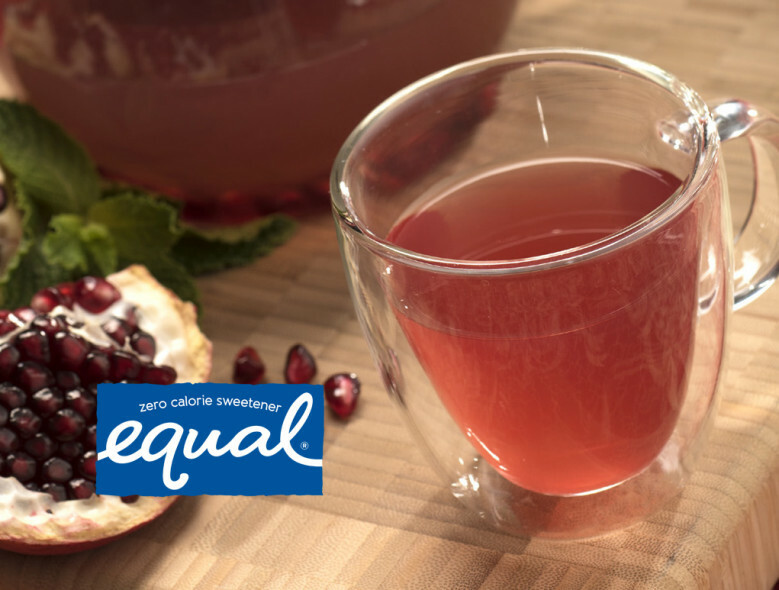 The clean, pronounced, holiday fruit flavor balanced with fresh mint, makes for a wonderful after dinner tea for you and your guests. This featured recipe is sponsored by Equal® Sweetener. Strain tea into cups and serve. Add tea bags, crushed pomegranate seeds and mint. Cover and steep for 3 to 5 minutes. Meanwhile, place 4 teaspoons non-sugar substitute (or 2 packets non-sugar substitute) into each of 2 cups.